You can view some of Mark's photography and order prints in the Shop. Currently unframed prints are available for order. Framed prints and printed canvas is available by special order. If you would like to order a print framed or on canvas, fill out the contact form, listing the print names and what you would like, then Mark will be in contact with you. Canvas prints are only available in 2 sizes 11x14 and 16x20. Not all prints may be available on canvas. 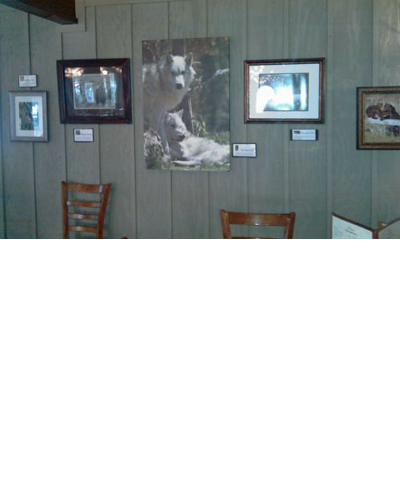 The picture on the right is some of Mark's work on display at The Cellar in Idaho Falls.